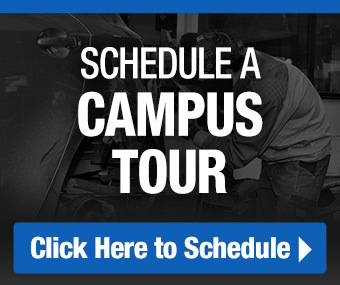 If you’re interested in making the most out of your automotive technician education, attending a training school with meaningful partnerships in the industry and in your area, is something to keep at the top of your mind during your search. One of the associations available to students at select schools is MOPAR® CAP LOCAL. In this post, Automotive Training Center takes a closer look at the MOPAR® CAP LOCAL program and how it can supercharge your automotive education. MOPAR® CAP Automotive: What is it? The MOPAR® Career Automotive Program, or MOPAR® CAP, is a special technician training program created by Fiat Chrysler Automobiles (FCA). MOPAR® CAP courses are geared toward getting prospective technicians prepared and ready to work in Chrysler, Jeep, Dodge, Ram, or FIAT dealership service centers, anywhere in the US. Training schools that participate in MOPAR® CAP LOCAL benefit by being able to provide FCA’s latest diagnostic technologies and service equipment in their student workshops. This way, students have the opportunity to learn and perform manufacturer-specific repair procedures on the same equipment utilized in FCA shops. In addition to practicing on the tech and tools that professional technicians in FCA dealerships use every day, MOPAR® CAP LOCAL students also have the opportunity to further develop their skills and get acquainted with the daily shop environment through paid internship opportunities with a Chrysler, Jeep, Dodge, Ram, or FIAT dealership nearby. This invaluable experience cements students’ understanding of each procedure, first applying the lessons they’ve learned in their school’s workshop and then testing their knowledge once more in a live shop. After graduating from post-secondary training school and MOPAR® CAP LOCAL, participating students have already developed a meaningful connection with a dealership in the area in need of entry-level automotive technicians. Dealerships that participate in MOPAR® CAP LOCAL do so in order to hire capable technicians who have been trained by FCA standards, and through the program, have already earned FCA US LLC Technical Training Skill Core Curriculum training credit. Check out some more employment opportunities at the Career Services Center! Students earn the specific knowledge and expertise required to excel post-graduation working for Fiat Chrysler Automotive, the seventh-largest automaker in the world. As for dealerships? Dealerships can quickly hire skilled, proven technicians looking for work who are already accustomed to shop procedures and practices. For auto enthusiasts researching their two-year, post-secondary career training options in Pennsylvania, Automotive Training Center is a MOPAR® CAP LOCAL training school in the area. When you enroll at ATC, you’ll have the option to pursue MOPAR® CAP LOCAL training. To find out more about this career automotive program and ATC’s available programs and courses* take the next step with ATC today. * For program disclosure information, please go to www.autotraining.edu/consumerinformation.